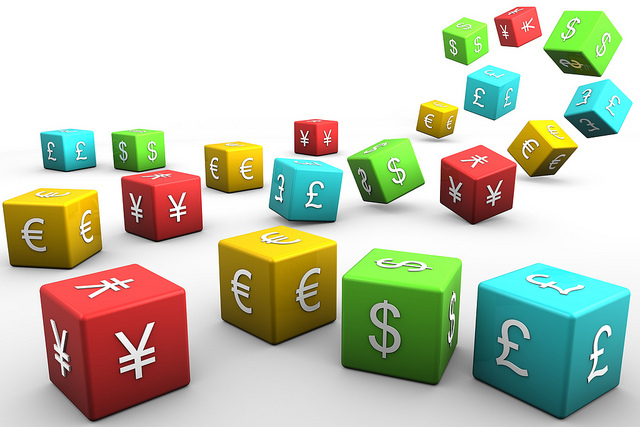 Before anything else, you need to pick a forex broker to give you access to this financial market. The online company you choose is of great importance, because that is where you execute the trades and store your capital. For example, TradeFW.com is a licensed online broker that is authorized to operate by the Cyprus Securities and Exchange Commission (CySEC), which provides you with the Webtrader and MetaTrader4 (MT4). The MT4 platform is geared for beginners; it’s highly customizable, intuitive and easy to use. Geared with analysis tools, more than 80 pre-installed indicators, and multiple chart setups, MT4 offers the perfect opportunity for beginning traders to test strategies — not to mention learn and grow! Knowing when to look at the market, and which timeframes to analyze can help you make informed decisions and save time. Some brokers, including TradeFW, grant access to nine different chart timeframes: Monthly chart, Weekly chart, Daily chart, 4-hour chart, 1-hour chart, 30-minute chart, 15-minute chart, 5-minute chart, and a 1-minute chart. A thorough analysis of relevant factors. Let’s assume you want to trade the US dollar against the Canadian dollar. Therefore, your analysis needs to focus primarily on two countries: the US and Canada. This requires checking the economic health of both countries, as well as the value of their currencies, through variables like GDP, the unemployment rate, and the difference between their interest rates. Official economic releases and news of political nature are also crucial, because they have the power to move the market against you. A consistent trading strategy. When deciding whether to buy or sell, fundamental and technical analysis should be part of your plan. Technical analysis represents the study of price charts and trading indicators; while fundamental analysis represents the study of economic data. You can combine the two methods or search for a trading strategy that suits you. TradeFW knows the important of this, which is why their website offers a series of webinars, informative videos, and guides to help you. Moreover, each account type comes with the perk of having a trained account-manager to advise you. Risk management techniques. Most traders focus so much on when and how to enter a trade, too often disregarding how important it is to know when to exit. The reality is, it’s important to always remain cautious by minimizing losses and maximizing gains. You can do this by placing orders with your broker. TradeFW offers a superb range of trading orders and settings including limit-, stop-loss- , and market-orders to protect you against volatile trading conditions; they also offer negative balance protection to ensure you never lose more than what you have in your account. Knowledge is power in forex trading — so the more you learn, the more you’ll polish your skills. Stay curious and join trading forums, Facebook groups or other social-media communities. In this high-tech era, hundreds of great book about all aspects of forex trading are just one-click away. Above all, take advantage of the educational materials your broker puts at your disposal. TradeFW has a stellar education center that covers everything you need to know as a beginner. True, you can hone your forex skills on your own; but there’s a lot to learn. Make sure you do it the right way.